The legendary DJ, actor, host and broadcaster Craig Charles is one of UK’s most respected names in funk and soul. From Red Dwarf to Robot Wars to Radio 6 and Radio 2, Charles’ career has seen him transform from respected actor to musical icon with ten years of broadcasting under his belt. 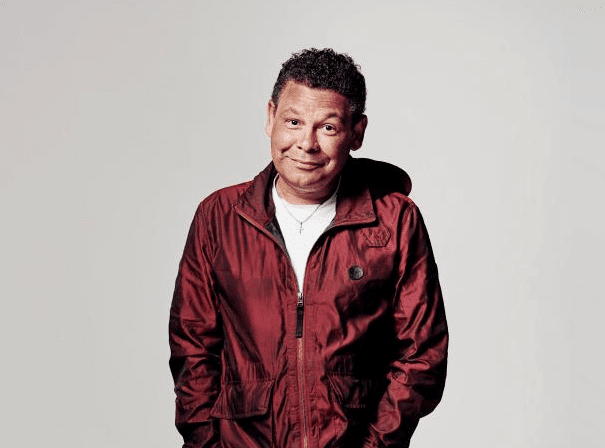 Craig Charles’ pioneering 6 Music Funk and Soul Show was born in 2002 and has since broadcasted live every Saturday night with an assortment of emerging talents and classic gems. Charles has earned global support and recognition as one of the UK’s foremost funk and soul tastemakers, DJs and promoters of new music. The impressive list of guests that have appeared on the show speaks for itself: Gil-Scott Heron, James Brown, Roy Ayers, The Roots, and Amy Winehouse have all stopped by. Mr. Charles and his trunk of funk can be found behind the decks almost every weekend throughout the UK. He’s held a monthly residency at Manchester’s Band on The Wall for several years, bringing a regular night of soul-stirring funk that’s currently one of the most anticipated nights in Manchester’s scene, with an array of guests plucked from the depths of funk such as Maceo Parker, The BlackByrds, Smoove & Turrell, The Perceptions, Lack of Afro and Funkshone. As an in-demand DJ with a calendar that’s rarely empty, Craig Charles has captivated crowds throughout the U.K. The funk maestro has electrified audiences at festivals such as Love Box, Park Life, Wychwood Festival, and Common People, to name but a few, and in 2016, the DJ played before 10,000 people at the world famous Arcadia and Shangri-La stage in Glastonbury Festival.